Hypocritical to condemn cockfighting sports. Society kills & eats 9B chickens a year. Approximately thirty-five companies are involved in the business of raising, processing and marketing chickens on a “vertically integrated” basis – that is, the company is able to ensure quality at each step of the process. About 25,000 family farmers have production contracts with the companies. Approximately 95 percent of broiler chickens are produced on these farms, with the remaining 5 percent raised on company-owned farms. In 2015, almost 9 billion broiler chickens, weighing 53 billion pounds, liveweight, were produced. More than 40 billion pounds of chicken product was marketed, measured on a ready-to-cook basis. The United States has the largest broiler chicken industry in the world, and about 19 percent of production was exported to other countries in 2015. The top 3 export destinations (value) in 2015 were Mexico, Canada and Hong Kong. Americans consume more chicken than anyone else in the world – more than 90 pounds per capita in 2015 – the number one protein consumed in the United States. The top 5 broiler producing states are: Georgia, Arkansas, Alabama, North Carolina and Mississippi. CAN’T FIGHT IN THE U.S.
Cockfighting, although practiced around the world, is banned in all 50 states. But is someone who breaks the ban committing a crime of moral turpitude? A federal appeals court has said no, declining to deport an immigrant convicted of facilitating a cockfight. In a line that may outrage animal-rights activists, the court said that a crime of moral turpitude must involve harm to third parties, not just directly to the chickens. The outcome is correct for the immigrant, but not precisely for the reason the court gave. In a society that condones the factory-farm killing of billions of animals, it would be the height of hypocrisy to deport someone for killing just one rooster pursuant to an unfamiliar cultural practice. But an immigration law judge and the Board of Immigration Appeals both ruled that Ortega-Lopez would have to be deported because cockfighting is categorically a crime of moral turpitude. The Board of Immigration Appeals defines moral turpitude as “conduct which is inherently base, vile, or depraved, and contrary to the accepted rules of morality and the duties owed between persons or to society in general.” The board cited some court cases describing dogfighting as inhumane, and said that because all 50 states and the federal government have banned cockfighting, Ortega-Lopez must be deported. The U.S. Court of Appeals for the 9th Circuit reversed that decision in an opinion by Barack Obama appointee John Owens, who’s acquiring a reputation for peppering his decisions with cultural references – like the one to “The Godfather’s” hapless Fredo. The harm principle, familiar to Philosophy 101 students, goes back to John Stuart Mill, who wrote that “the only purpose for which power can be rightfully exercised over any member of a civilized community, against his will, is to prevent harm to others.” The harm principle is the cornerstone of libertarianism, and it’s pretty important to liberalism, too. Of course, cockfighting does involve harm – to the roosters. With some archness, Owens dismissed that concern. “We think a remand … is appropriate here,” he wrote, “as the crime at issue involving harm to chickens is, at first blush, outside the normal realm” of crimes involving moral turpitude. You can hardly blame Owens or the judiciary for trying to transform the moral turpitude category into a harm requirement. The problem, of course, is that the language of “moral turpitude” doesn’t particularly track the idea of harm. Plenty of actions are profoundly immoral without directly harming third parties – provided your conception of morality isn’t completely focused on consequences. 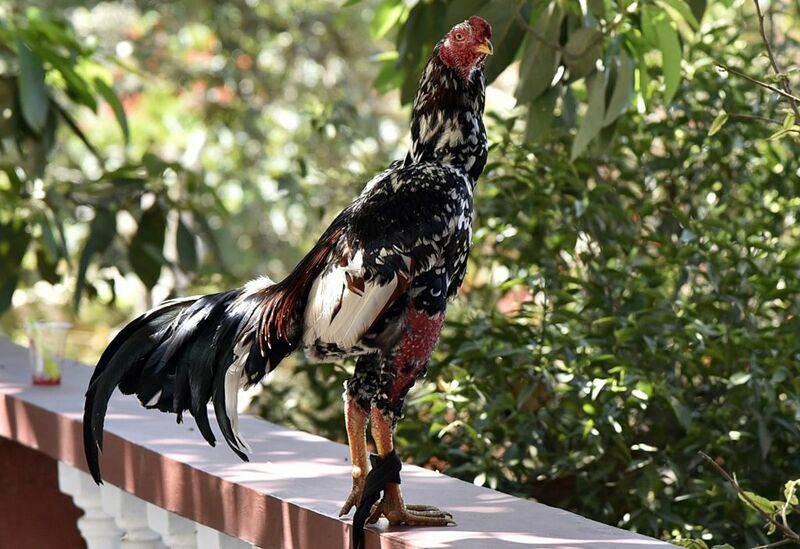 And as my own moral authority, my 9-year-old daughter, pointed out rather vociferously when we discussed the case, it’s plainly immoral to train and force roosters with metal spike affixed to their legs to fight each other, sometimes to the death. That, after all, is why we’ve made cockfighting into a crime throughout the U.S. Yet it seems to me that the outcome of the 9th Circuit decision, preventing Ortega-Lopez’s deportation, is still correct. But why? On the surface, it’s appealing to think that something so culturally rich shouldn’t be deemed fundamentally immoral, even if it’s illegal. But on reflection, plenty of deeply ingrained and revealing cultural practices are immoral – whether they occur in the U.S. or abroad. Racial or gender-based violence are good examples. No, the reason the appeals court was right not to order Ortega-Lopez deported is that it would be hypocritical to condemn the morality of cockfighting when our society kills some 9 billion chickens a year. (You read the number right – it comes from the National Chicken Council.) Most of these are necessarily raised on factory farms that operate on enormous scale. A credible argument can be made that many standard, legal techniques of chicken-raising involve serious mistreatment of the animals. I don’t know whether it’s appropriate to call it torture – but it’s definitely just as morally bad as cockfighting, in which some animals are well-treated and can live long lives. It’s true we get pleasure from eating chicken, but it’s also true that cockfighting affords enjoyment. Deporting someone for participating in a cockfight wouldn’t send a message of kindness to animals. It would send a message of cultural hypocrisy on an epic scale. And that’s not very moral.